Justin Sakogawa is an exceptionally active Bay Area musician and virtoustic guitarist. He specializes in heavier music, including all forms of metal, but is also very knowledgeable in the rock and blues genres. An innovative teacher with over a decade of experience, Justin teaches 6, 7, and 8 String Guitar as well as Drums, Bass, and Ukulele. Since earning his Associates in Music, Justin has dedicated himself to teaching young musicians and performing and recording in extreme metal bands. His playing can be heard in his own original group, Warscythe, as well as a number of other bands, such as From Hell and Splattered. Students will enjoy his cheerful personality and passion for rocking out. 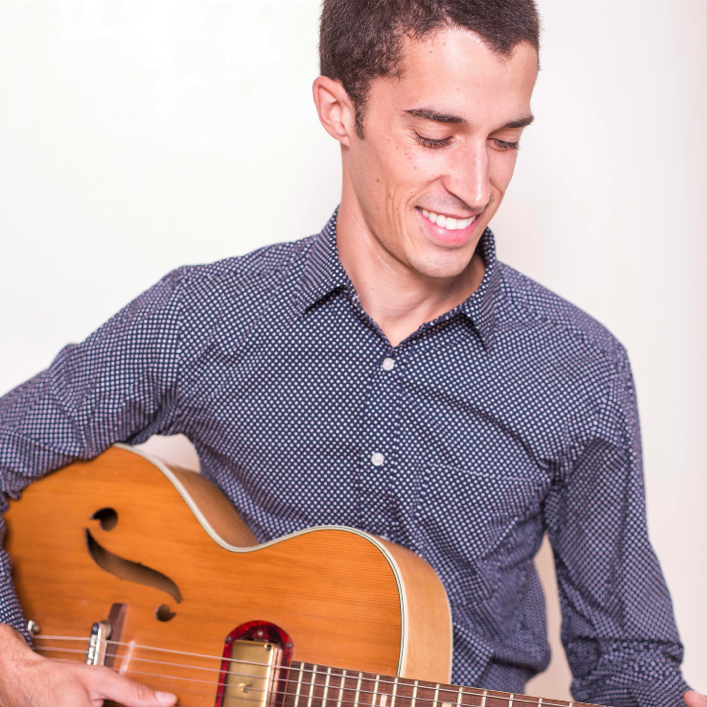 An enthusiastic music teacher and performer with over 10 years of experience, Chris teaches students of all ages to love music and excel on their instruments. He has played in a number of rock, jazz, and flamenco groups, recorded on many records, and performed in numerous venues including Yoshi’s Oakland, Bottom of the Hill, 924 Gilman, and Checkpoint Charlie’s in New Orleans. He is the bandleader, singer/songwriter, and guitarist for original rock group Loudtalkers as well as the producer for his own solo work.